Sky Sports will dedicate an entire channel to darts this Christmas, with Sky Sports Darts to broadcast the William Hill World Darts Championship from December 18-January 4. Sky Sports Darts will launch on December 18 and offer viewers over 370 hours of programming, including live coverage of the William Hill World Darts Championship. Sky Sports 3 will become Sky Sports Darts at 6am on 18 December and be the home of darts until 5 January at Sky channel 404. As well as live coverage of the World Championship, Sky Sports Darts will screen a host of programmes and features including fascinating documentary with reigning champion van Gerwen. 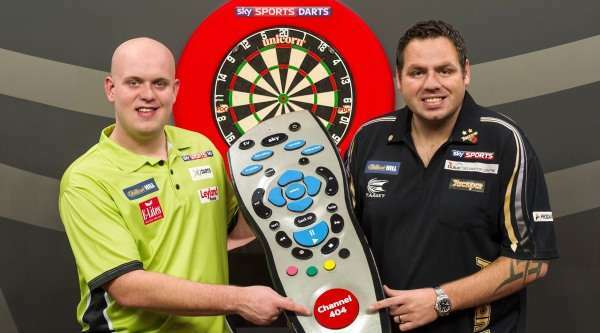 Barney Francis, Sky Sports Managing Director, commented: “The World Darts Championship is one of sport’s most colourful events and for the first time, we’re giving it its own channel. Sky Sports Darts will offer all the drama, excitement and atmosphere from Alexandra Palace for two weeks over Christmas.